Good morning, Feasters. Today I’m absolutely delighted to welcome Jennifer Scoullar to the blog. Why? Because not only is Jennifer a fellow Penguin Australia rural lit author, she’s a fellow horsey girl which naturally makes her a mighty fiiiiine person! Jennifer ‘s world sounds wonderfully romantic and Man From Snowy River-ish. She lives with her family on a property in the gorgeous southern Victorian ranges. Her house is on a hill-top, overlooking valleys of messmate and mountain ash, and all her life she’s ridden and bred horses, in particular Australian Stock Horses. Which means she knows what she’s writing about in her debut rural romance, Brumby’s Run. A blissful, carefree summer beckons for Samantha Carmichael. But her world is turned on its head when she learns she’s adopted – and that she has a twin sister, Charlie, who is critically ill. While Charlie recovers in hospital, Sam offers to look after Brumby’s Run, her sister’s home high in the Victorian alps. Within days, city girl Sam finds herself breaking brumbies and running cattle with the help of neighbour Drew Chandler, her sister’s erstwhile boyfriend. A daunting challenge soon becomes a wholehearted tree change, as Sam begins to fall in love with Brumby’s Run – and with Drew. But what will happen when Charlie returns to claim what is rightfully hers? Set among the hauntingly beautiful ghost gums and wild horses of the high country, Brumby’s Run is a heartfelt, romantic novel about families and secrets, love and envy, and most especially, the bonds of sisterhood. I am so, so excited about this book and can’t wait to score a copy. The official release day is July 2nd but there are reports of Brumby’s Run already in the shops. So keep your eyes peeled! And now I hand you over to Jennifer. The fledgling bushfood industry is helping to conserve wild resources and protect bio- diversity. It is creating incomes and jobs for rural communities, and I like that it values and utilises indigenous knowledge. It encourages farmers to branch out from traditional crops, and has had some unexpected advantages. For example, salinity is being reduced in some areas by introducing native perennials, and waterways once polluted by fertiliser runoff are returning to health. Once I discovered the pleasures of cooking with bushfood, I couldn’t get enough of it. Everybody knows about Macadamia nuts, but there is another far more ancient native nut that has been considered a delicacy for thousands of years. My new novel is set in the Bunya Mountains of Queensland, famous for their Bunya nuts. The nuts come from a magnificent pine tree which dates back to the Jurassic era 180 million years ago. When Gondwana separated into different land masses 45 million years ago, the Bunya pine survived in a few areas of Australia. It is a cousin to the Monkey Puzzle tree of South America. Nuts from both trees were a prized food for indigenous tribes, and the Monkey Puzzle nut is an important food source in Chile to the present day. 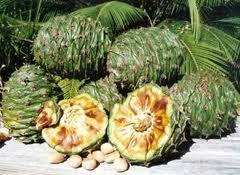 The football-sized Bunya cones weighs 5-10 kilograms and hold between 30 and 100 nuts. Each nut contains about 130 kilojoules (32 calories) with more starch and protein than the average nut. They taste similar to chestnuts with overtones of pine, and are great in both sweet and savoury dishes. Bunya nuts are a bit hard to come by, outside of Queensland. But you can buy them online from the Australian Produce Company, and store them in the freezer. Place kernels in food processor and reduce to a smooth paste, slowly adding the milk to soften mixture. Mix softened butter with egg yolks and sugar until smooth and fluffy, then hand- blend with the Bunya nut paste. Beat egg whites to a firm consistency and again hand-blend with the Bunya nut, mix in one cup at a time, alternating with the almond meal and almond essence until all ingredients are fully mixed. Pour mix into a 28cm spring form, lined with grease-proof baking paper. Bake for 50min in centre of oven. Turn heat off and leave for a further 20 minutes before removing from oven to cool naturally. Shake sifted icing sugar on top. Best eaten same day. 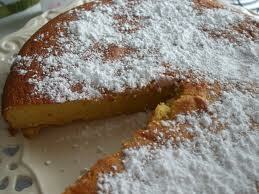 This delicious and unusual cake is also suitable for those with a gluten intolerance. What a fascinating post! Thanks, Jennifer. I really enjoyed that and will definitely be on the hunt for some Bunya nuts now. I’ve cooked with wattle seed and finger limes and a few other bushfoods but not these. Must try! 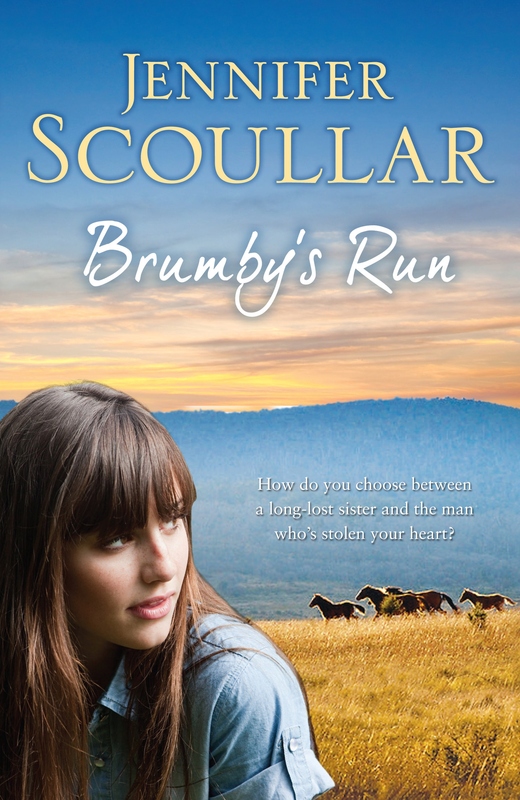 Now, Feasters, lovely Jennifer has offered one super-lucky reader the chance to win a signed copy of Brumby’s Run. Rah! But as usual you have to work for it. Jennifer and I want to hear all about your best Australian bush experience. Don’t have a best one? Then share your worst. After all, everyone loves a good python in the sleeping bag story as much as they love a romantic campfire dinner/cute furry animal one. Get in fast because the giveaway closes midnight Tuesday, 3rd July 2012. Australian addresses only, sorry. If you’d like to learn more about Jennifer and her books, please visit her website. You can also connect via Facebook and Twitter. This giveaway has now closed. Congratulations to JindivickWildlifeShelter who has won a copy of Jennifer’s wonderful debut rural romance Brumby’s Run. Thanks to everyone who joined in the fun! This entry was posted in Friday Feast and tagged Animal Stories, Australian romance authors, Australian Writers, Brumby, Bunya nut recipe, Bushfood, Cathryn Hein, Food, Friday Feast, Jennifer Scoullar, promo, Recipes, Romance Writing, rural romance on June 29, 2012 by cathrynhein.